Seriously? 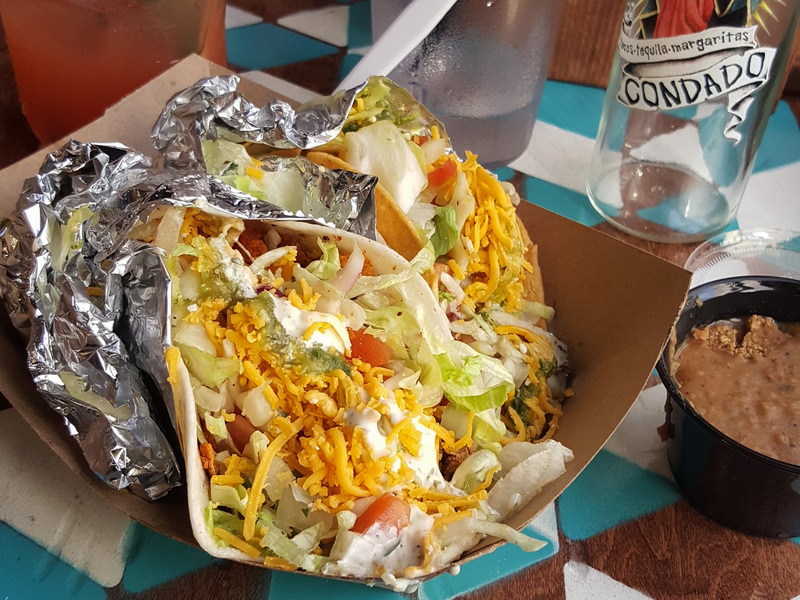 How has it taken me this long to write about Condado Tacos? They opened almost a year ago. I started this blog almost 5 months ago. I probably eat there at least twice a month. 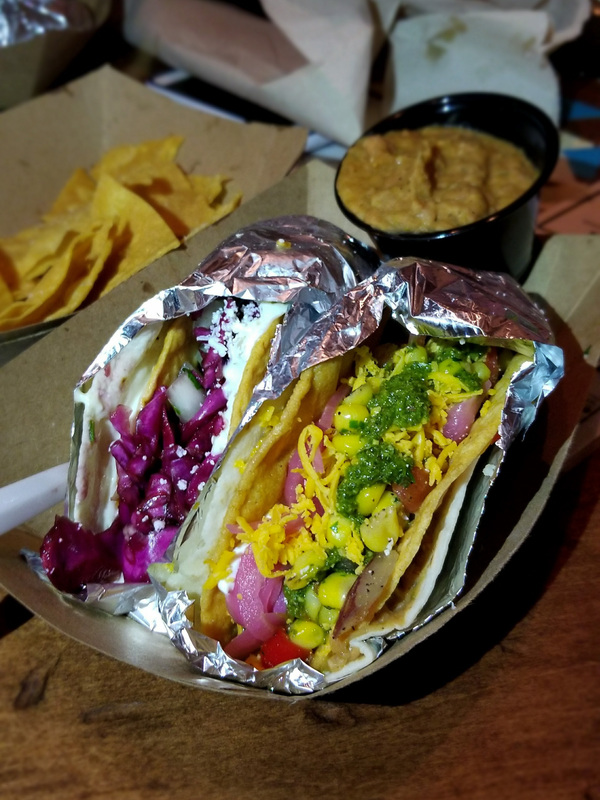 So finally I’m writing about Condado Tacos, which I will start off with is not a typical taco place. A traditional taco is like a 4″ to 6″ diameter tortilla with some kind of protein, veggies and sauces. This is not what Condado Tacos does. 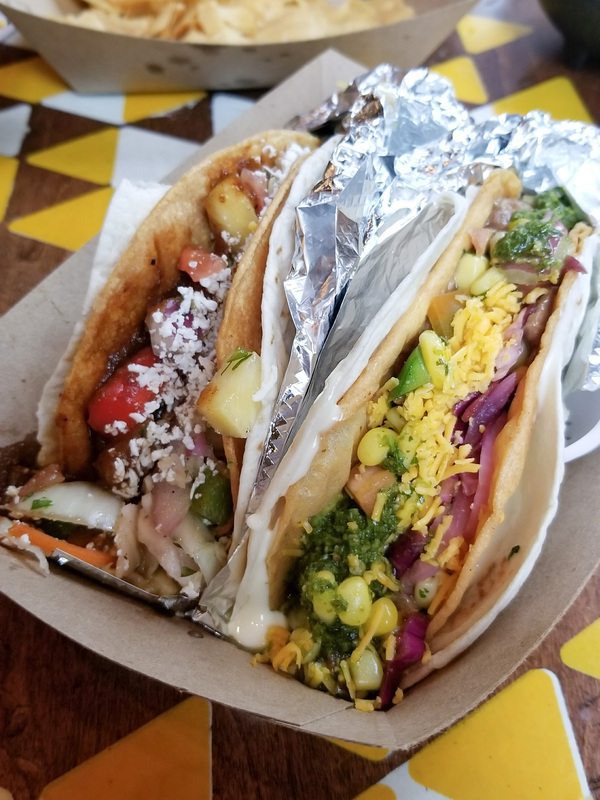 They are great at overloading a taco shell with so many great flavors and letting you make a complete mess while you eat. They are a local chain from Columbus, Ohio that opened their first location in Pittsburgh early in 2017. They quickly became a staple of my diet because at a relatively inexpensive cost I can leave with a very full stomach and in need of a nap. Starting with the decor, the restaurant has murals all over the walls, very much in style of Mexican Dia de los Muertos holiday. It’s very colorful and vibrant. The tables are a more traditional rustic wood. I will say some of the tables are a little small for the amount of food served plus a silverware and paper towel holder. The starters are your usual taco joint fair like chips and guacamole, chips and queso and chips and salsa. 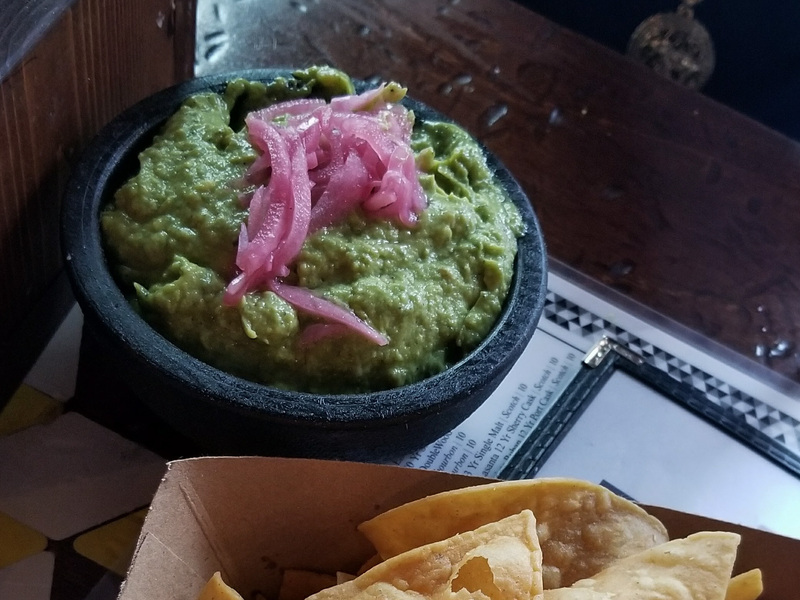 The guac has a little bit of a kick to it but it’s very smooth and creamy. The salsas are pretty good. I like the verde over the roja. 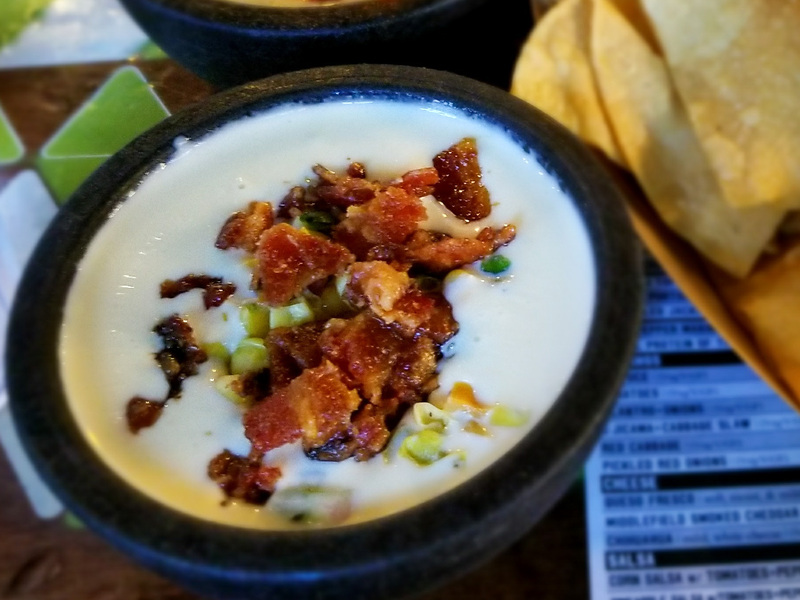 The regular queso is OK. Not one of my favorites since I don’t think it has enough spice, but I recommend getting and order and just pour it on your tacos. 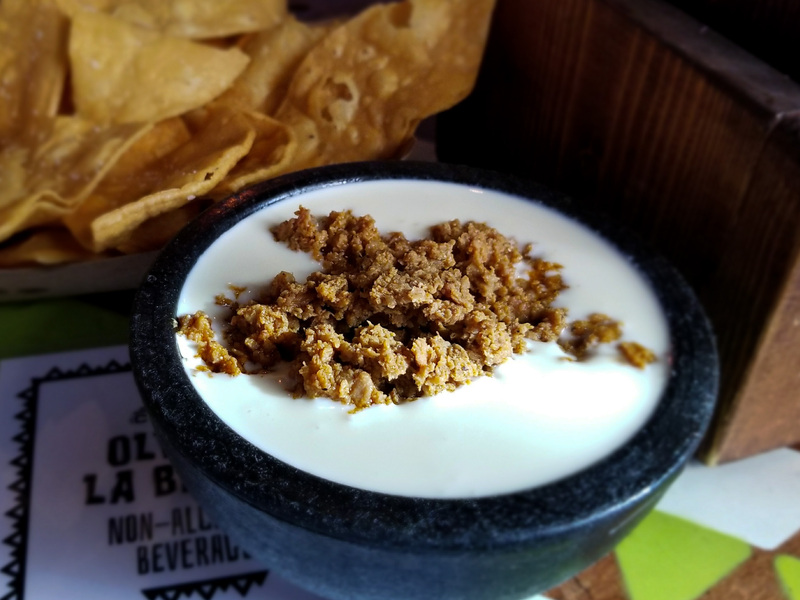 Extra queso on tacos is never a bad thing. However, I will say the monthly specials for both the guac and queso can sometimes be very different and exciting. I also recommend starting with a margarita. I like the house or jalapeno margaritas. The ordering process is super easy and allows for a lot of options for what to eat. 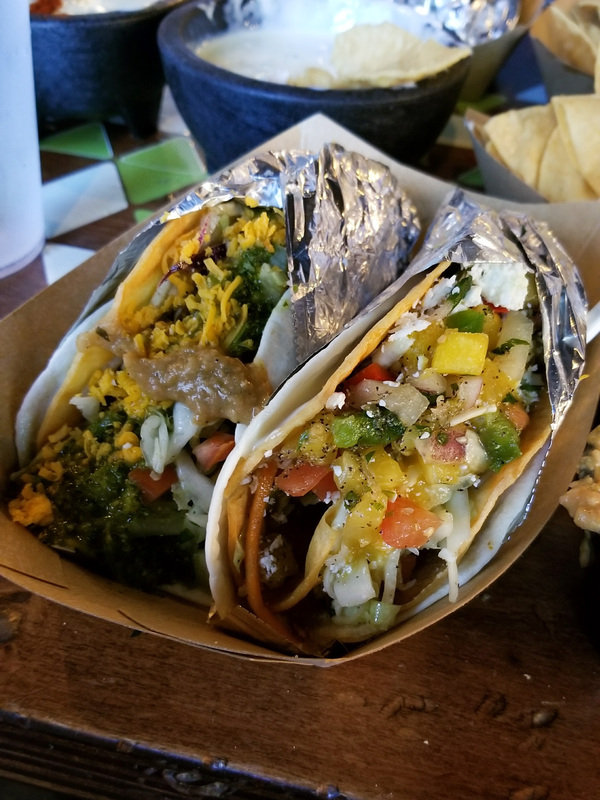 There is a list of house specialty tacos or for the more ambitious, there are design your own taco sheets at every table. If you have trouble deciding what flavors go well together or lots of choices scare you, stay away from the design your own and go for the house specialties. I go for the design your own. 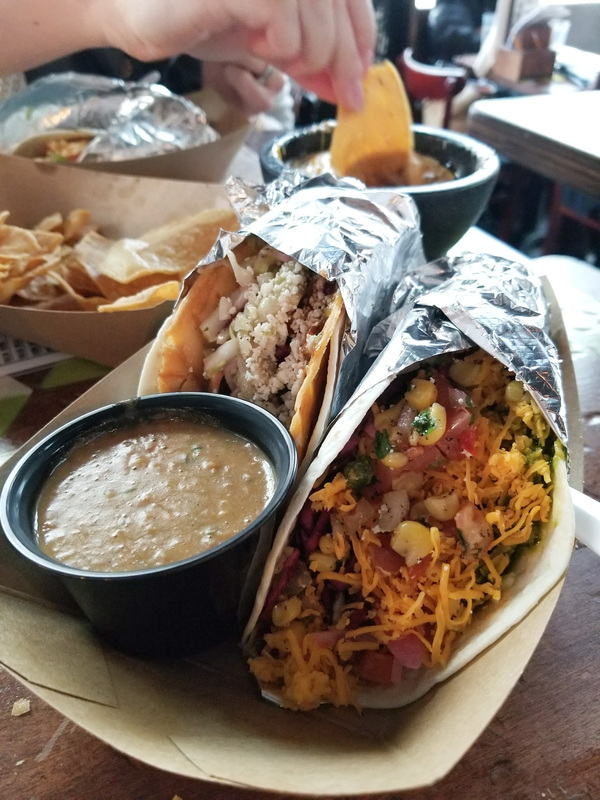 When seeing the number of items on the list that can be added to the taco, your first thought will be I want all of this. Your second thought will be how will all this fit in the shell. I personally recommend starting with a specialty shell, which is usually a soft shell and a hard shell with fillings in between. I like the Sweet Lucy (flour soft + corn hard + queso + guac) and Peezler (flour soft + corn hard + bacon refried beans, guac, sour cream) the most. 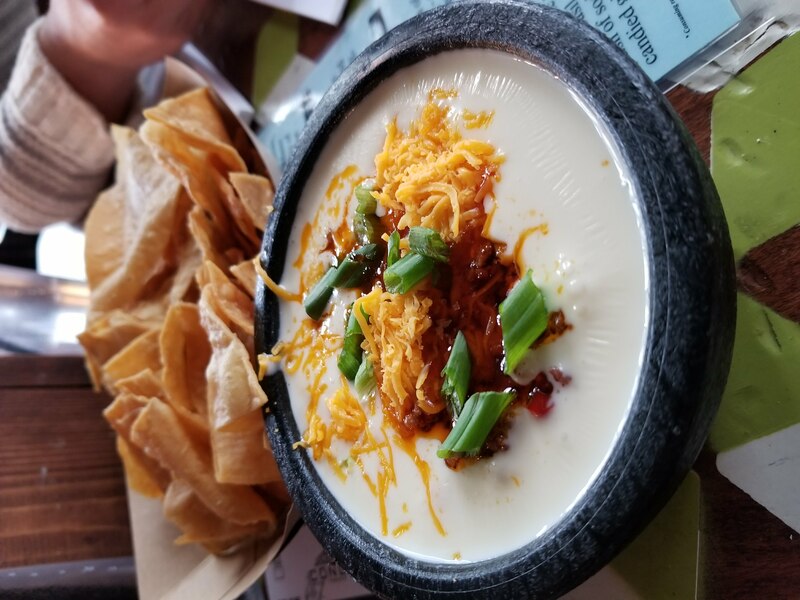 Condado has a large range of proteins like brisket, chorizo, chicken and pork and protein substitutes like jackfruit, portabella and tofu, which makes it an easy choice to take vegetarian friends. My favorites are the brisket and whatever is the special protein of the month. Then top off with veggies, salsa, cheese and sauces. When ordering, I usually only get 2 tacos. There will be temptation to get more, 2 is very filling, especially if you’ve already had chips. I am also a really big fan of getting a small side of bacon refried beans. If you’ve made your choices for your taco well, then you will be happy with what you are served. It’s certainly not a traditional taco in any sense. I’m definitely happy. I keep going back. It’s inexpensive (when you don’t get drinks) and I leave full. What’s not to like?